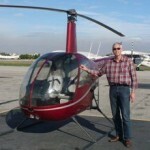 Can I use my U.S. pilot licence anywhere in the world ? The answer for this – probably most common – question is : yes ! All countries have mutual agreements to accept one another’s pilot licences. Pilot licences issued worldwide are accepted in the US and vice versa. Otherwise, international air travel could not exist. It is simply impossible for a pilot to hold a licence in all the countries he is flying to, from and across. Citizenship and residency are also no factor. A European citizen, who is a resident in Hong Kong can hold a U.S. licence and go fly in South America. This is a major difference compared to driver’s licences, which are issued in the country of citizenship or residency. What applies for commercial pilots, also applies for the private pilot, without exception. U.S. pilot licences are traditionally the most common licences in the world. In many cases, they are even superior to the national licence ( see table ). For example, the U.S. private pilot licence already incorporates the radio licence and night flight rating, while in Europe these are extra ratings which come with a hefty price tag. Airlines around the world, e.g. Lufthansa, are maintaining their training centers in the U.S. not only for those reasons, but also because of the professional airspace environment, high aviation standards and competitive pricing. Do I need to speak very good English ? No, basic communication skills are good enough. Our instructors speak your language, and typical aviation phrases are learned during the course. As a rule of thumb: if your English is good enough to order food in a restaurant ( and you actually get what you want ), you are good to go. Why is not everybody getting his licence in the U.S. ? From talking to our customers, we found that uncertainty and – often purposely given – misinformation are the leading factors in keeping people from looking closer at this option. However, there are certain reasons why someone should better get his pilot licence in his home country.